Position 1837 GMT 31 December 2005 22 degrees 54 mins North 20 degrees 42 mins West. 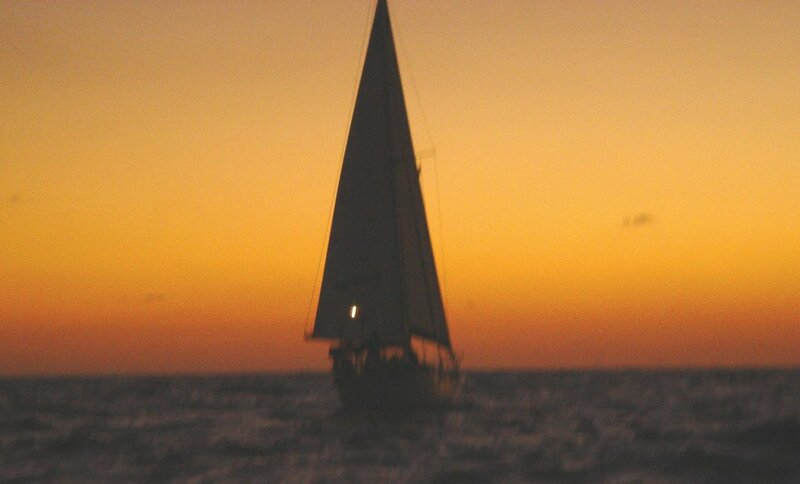 Only 2358.3 nautical miles to go! We've made it to the tropics. 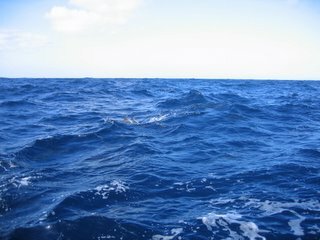 We crossed tropic of cancer about 11 last night. We expected to have glorious weather today but just more of the same - maybe tomorrow?? 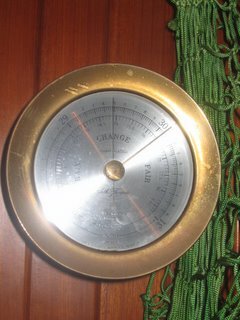 We have had our best sailing day so far today averaging over 5 knots all day, we are continuing to go south as a new tropical storm named Zeta has formed mid Atlantic and we want to give that a wide berth. We continue to have radio contact with our friends in Las Palmas and those ahead in the Cape Verdes. Today we also checked in with a new Atlantic crossing net on the radio. 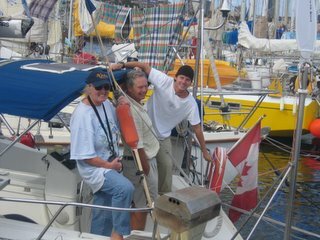 This is a group of boats all crossing around the same time, we give our position, share our current weather and support each other. 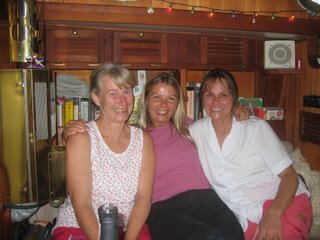 We heard today that our friends Nick & Ellen on Kika arrived in Martinique and are already drinking rum cocktails - we can't wait to join them. 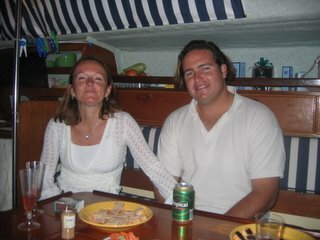 (wwww.kikasailing.blogspot.com). No wildlife to report today but we were visited by the Mauritian Navy this afternoon - a ship appeared heading straight for us, turned when we called them up, but came right across our stern for a good look, probably to check we weren't drug or people smuggling. So it's New Years eve, we wish everyone a happy New Year and will be having a small glass of Cava at midnight. Position 18:27 GMT 28/12/05 26 degrees 43.1 North, 16 degrees 13.6 West. Today has been a real mixed bag as far as the wind is concerned - all directions and all strengths. This has had a great effect on the sea which is nothing short of a washing machine. 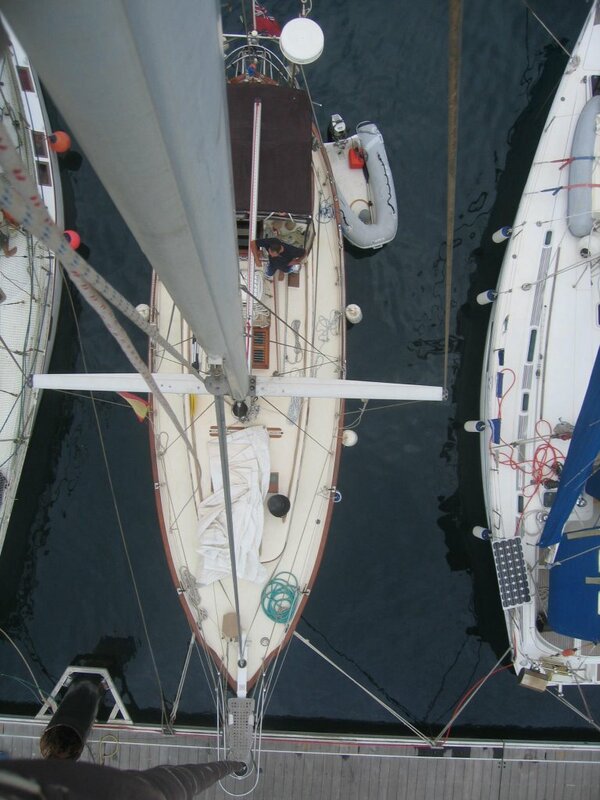 We have had all sorts of sail configurations today and any number of headings. But despite the wind and the sea the sun has shone all day and it has been a good day. We had a huge pod of dolphins visit earlier - one jumped right over the bow of the boat! We are trying to get into our watch patterns today but it has been a bit hard to sleep because of the changing wind and sea. 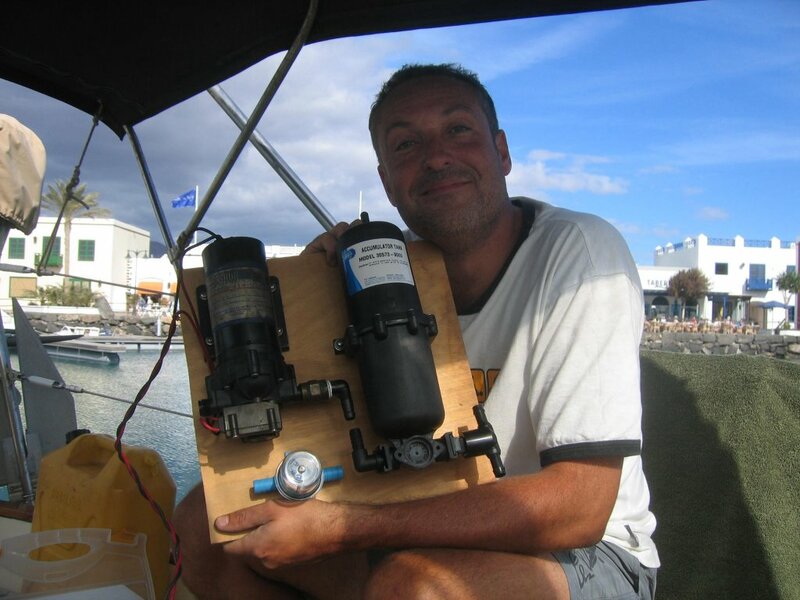 The mechanical self steering system has been helming today for the first time since Andrew re-ran all the lines, it's called Malcolm the Monitor and is doing a great job at holding us on course to the wind. 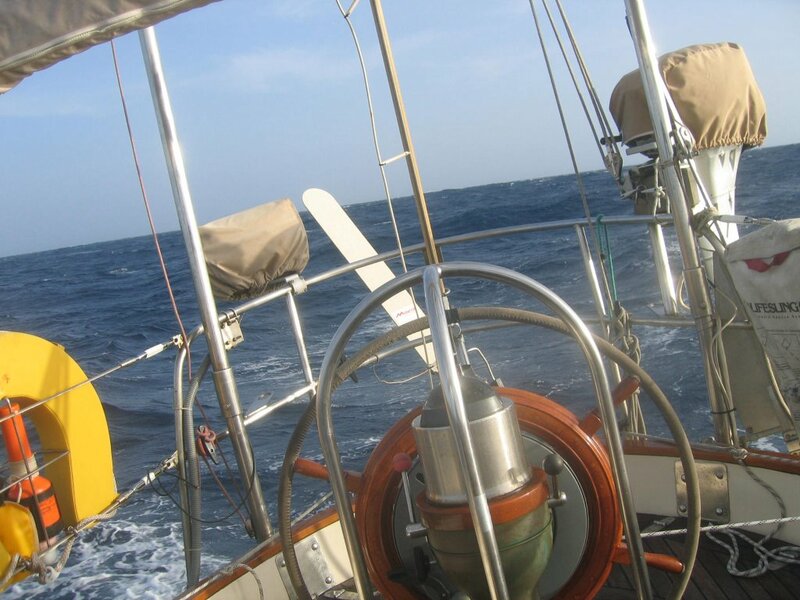 Finally ReVision II left Las Palmas in Gran Canaria at 15.45 GMT on 27 December 2005 heading for the Caribbean. We had to drink the last of the Baileys as there was no room to stow it due to the 1025 items of food on board! The sun was shinning and we had a lovely send off from all our friends on panatalon 18. We had a lovely Christmas in Gran Canaria. Our friends John & Elaine on Goolka invited us for an incredible Xmas brunch including caviar and champagne and surprise guests - Bob & Talara. They really spoilt us and really made my Birthday. 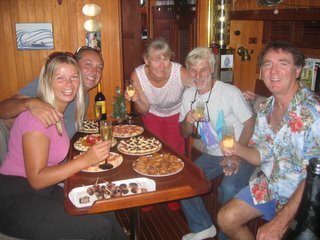 We then went to see Serg & Manu our lovely Mauritian/French friends for more Champagne before retiring to R2 for a full Xmas Dinner - yummy!! 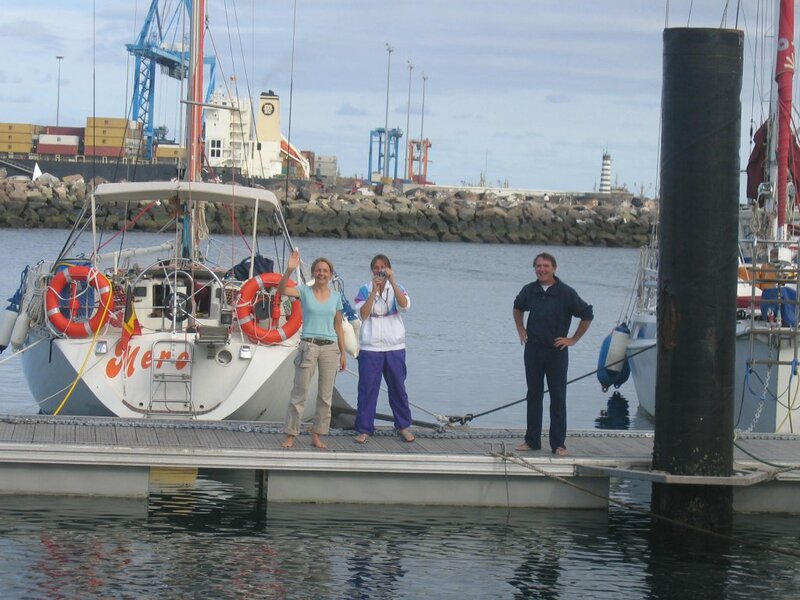 We are still here in Las Palmas waiting for the right weather before leaving for the Carribean. It seems like a high pressure in Northern Europe is sending Low after Low towards the Canaries. This brings South West winds which would make any crossing difficult. We are not alone however as lots of our friends are hold up here too just waiting for a break. We've been busy checking and double checking everything on the boat. Photo above courtesy of Carolyn from the masthead! 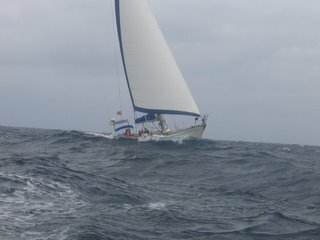 After a great overnight sail from Lanzarote we arrived in the big city of Las Palmas in Gran Canaria today. 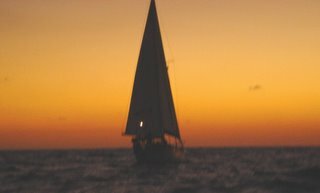 The good news is our new sail worked a treat and sailed the 100 miles last night without any dramas. Here we have met up with friends and plan to stay a few days before leaving for La Gomera at the weekend. For the sailors out there we have attached a picture showing how much our barometer dropped as Tropical Storm Delta hit. We don't want to see that again in a hurry. After all the excitement of Delta we have been busy getting R2 ready for our Atlantic crossing. We each have a list of jobs pinned to the wall and are working our way steadily through them. We had hoped to be away from Lanzarote by now but are still waiting for our new main sail to be delivered - hopefully anyday but unfortunately our sailmaker felt the force of Tropical Storm Delta a little more than us. We have bought all our non-perishable food for the crossing - more fray bentos pies and corned beef than any two people should eat in a lifetime. Stowing the food was a task in itself and took half a day including updating a spreadsheet so we know what we have got and where it is. Andrew has re-plumbed the water pressure system and is very proud of his pump board! Carolyn is seriously into varnishing - we want R2 to look pretty when we get to the Caribbean. 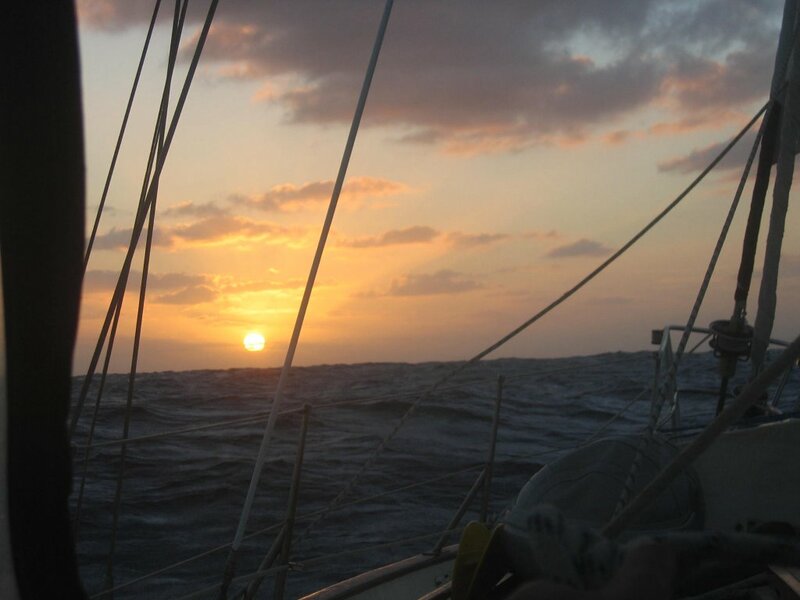 We have checked in with an Atlantic crossing net on the SSB radio - this is co-ordinated by another yacht who records the position of the yachts crossing and we then share weather and safety information as we cross. 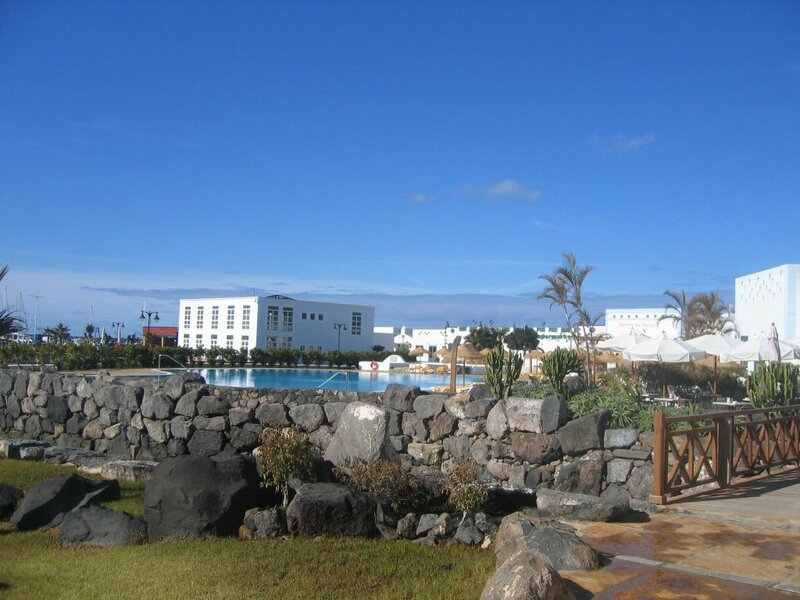 Many of our friends have left already and are going via the Cape Verde islands. We are heading for Antigua when we go. And yes we are finding time for a bit of relaxing - we went to the pool at the marina this afternoon - lovely and hot for the first time in weeks.